Caliper Brackets make a role of fastening Housing and Knuckle firmly and ensuring that they function safely. The precise Bracket also guide Brake Pad correctly, and protect from vibration and noise. They keep you from danger and brake noise. We'd be honered to have an opportunity to provide Caliper Bracket for any automobiles. In addition, any Caliper Bracket is available upon request of customers. Woo Shin Industries Co.,Ltd is a leading manufacturer in Korea for high quality rear brake caliper. 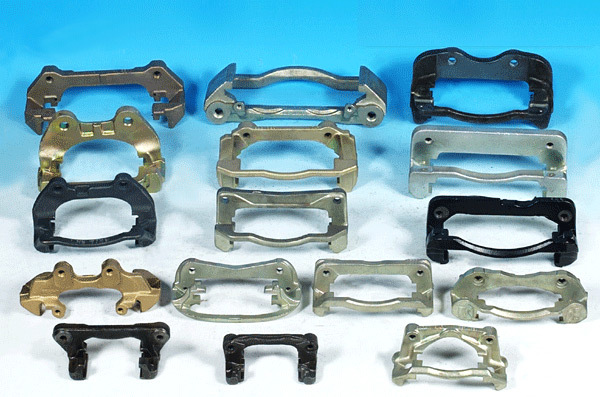 We develop and supply caliper brackets across the world. We are ISO/TS16949 certified supplier and have experience of more than 20+ years. Contact our experts for more details regarding rear brake caliper we offer.